See how we wish you a Happy New Year! GDPR is and will remain a hot topic for every business in the EU. VJT & Partners closely worked with the consulting software developer company Simplexxy to develop the “Data Hawk” (“Adatsólyom” in Hungarian) software. Based on its installed know-how, Data Hawk screens the data processing of the companies and makes proposals on an automated basis, without any human intervention. This revolutionary law-tech solution has never been seen before. The mid-term plan is to launch Data Hawk in other Member States also. In this interview, János Tamás Varga, head of VJT & Partners – the law firm responsible for the content of the software – shared his experience about Data Hawk. Could you please briefly introduce Data Hawk? Data Hawk is a stand-alone software that provides significant help especially for small- and medium-sized Hungarian enterprises and non-profit organizations in preparing for GDPR. An online questionnaire that can be used to assess GDPR compliance readiness of businesses and get an action plan on exactly what needs to be done to meet GDPR requirements. Its main motto: “You do not have to understand GDPR. It is enough to know your own business”. Where did the idea of the Data Hawk come from? As a lawyer in the field of data protection, when I was in the process of adopting GDPR regulations, I realised that small- and medium-sized enterprises would certainly not be able to meet the requirements of GDPR without external assistance. Paying huge penalties would mean the end of many businesses. The idea came to me to develop a stand-alone and easy-to-use online software that comes with a full GDPR screening, yet which reaches the quality of typical GDPR audits. The one filling out the questionnaire does not have to stand in line for the advice of a privacy expert, he simply answers the questions online and Data Hawk makes proposals on an automated basis, without any human intervention. Which areas can we examine with the Data Hawk? Data Hawk examines dozens of areas that are problematic in terms of data protection, including the most important employment and marketing areas. There are several hundred questions in the software, and the user can choose among several predefined answers to each question. Of course, not all questions need to be answered: our questionnaire leads you - the user, according to your responses, only to those questions that are relevant to your business. Was it a big work to create such a compliance tool? I would call it gigantic. We processed hundreds of pages on GDPR regulation and the Hungarian and European data protection practice, and then transferred the whole material into questions and responses to make it clear to everyone. Questions, answers, suggestions are all written in clear and plain language, explained in layman’s terms. We also help the user with examples to clarify more complex issues. 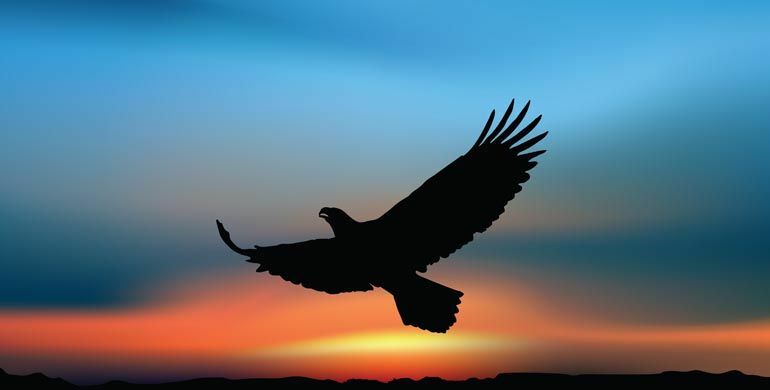 What is special about Data Hawk? Data Hawk is a new milestone in the legal-tech area, a high-quality legal service that only a limited number of large and multinational companies could have afforded is now equally available to small- and medium-sized enterprises. How much time does it take to use Data Hawk? You can go through the questionnaire within 2-3 hours. This is realistic because in the case of a small business, the user of the questionnaire knows much more about all the ins and outs of a company than in the case of a large company where the full picture can only be grasped with the involvement of several different departments. On the other hand, Data Hawk speeds the auditing work of large companies. When we make GDPR compliance audit projects for large companies, we always ask them to use Datahawk as a first step, as it is much faster and easier to find and solve the problematic areas. After using the questionnaire, Data Hawk processes the answers and gives an evaluation report. What can we learn from this assessment? The evaluation includes a specific task list, accurate, personalized tasks about what to do to meet GDPR requirements. Most of these tasks can be done by the company’s owner and staff. Of course, there are also more complex tasks where an expert’s help is inevitable. But in this case, the expert gets the Data Hawk report (containing legal gaps) which makes the whole process more affordable and faster. Can you tell about such a diversified product that it is ready? Data Hawk is ready, but our plan is to continuously improve and update it to emerging needs. We are also paying attention to our customer feedback, and on that basis we will further improve the software. We also have the mid-term plan to launch this product in other Member States as businesses struggle there with similar GDPR compliance problems. VJT & Partners: Should I sell my business? What happens in business is always unpredictable - any businessman is aware of this. Anything could happen. Good times and bad times alternate each other, and it might occur that - in order to remain in competition - a change of ownership is the only solution. The idea of selling one’s company might come up when the younger generation won’t be continuing the business when the older one plans to retire. It could also happen that the person in question desires to get involved in other areas of life. And then comes the big question: Should I sell my business? The MM’s new series of articles introduces the reader in the process of selling a company, presenting the details, meanwhile the big picture of the process can also be seen. Our professional partner is Dr. János Tamás Varga, lawyer and managing partner of VJT & Partners Law Firm; in the past twenty years, he has conducted more than 60 acquisitions that included the sale of companies, mostly involving foreign entities as buyers. Part no 1. What reasons could lead to the sale of a company? MM: Most of the technical development or producer companies are competitive on the Hungarian market. These companies have been established and built by Hungarian entrepreneurs, and are operated in the present also by their founders. When does the time come for a business owner to consider selling his company? VJT: Each and every sale of a company is unique, but typical situations are also seen. Sometimes the market conditions lead the owner to the decision of selling his company. For example, when the competition requires developments or extra resources that the owner cannot or will not undertake. On the other hand, it is very possible that no external pressure exists, only the company holds an outstanding market position, therefore there is a demand for the company’s acquisition. Another typical situation could result from the internal relationships within the company. For example, the founder of the company gets tired, perhaps wants to deal with other things, therefore desires to hand over the business, but there is no one to take it. MM: Could it be the case that the manager - already at the moment of establishment – plans to build the business and then a couple of years later to sell it? VJT: In several industries this case is quite common. But for the traditional technical industry where the companies deal with development and production, the change of ownership right after a company is establishment is not very likely. The value in this field is found in the technical knowledge gained and developed through decades, in solid production technology, and not in fast changes. Usually, production requires decades to achieve a market value that results in an appropriate selling price for the owner. MM: Is it likely that the founder draws back right after the acquisition and the new owner also takes the company in hand right afterwards? VJT: Nowadays it is very unlikely, that the remaining colleagues say goodbye to the former owner on the day of the acquisition. Usually, the purchaser expresses his specific demand for the work and experience of the former owner-manager of the company, especially in the 6-18 months period following the acquisition. The extent of this demand varies from case to case, depending on instance of the experience of the vendor in the relevant industry and in the Hungarian market. It is imaginable that the vendor requests the operative management of the prior owner’s company during the transitionary period; it is also possible that the managing of a running project is required, or there could be demand only for consultation. It’s not unusual that the vendor does not acquire all at once and does not buy 100% of the company, thus the transitionary period might be longer. It’s typical that in the first step the vendor acquires a majority ownership, this way the former owner remains in the company with a minority share for an interim period. And of course, it is possible that the vendor does not acquire the whole company, so the prior owner remains in the company for a longer period. MM: I suppose we managed to cover the essential questions of the sale of a company. How should we continue? VJT: If the decision to sell has been made, the only remaining question is: How to proceed to sale? This will be the topic of our next conversation. Even in the most honorable of business transactions, any manager could easily find himself in a discussion about anti-competitive matters and thereby suddenly become a member of a cartel. The manager’s conduct may consequently result in a fine imposed on his company of up to several hundred million Hungarian forints. Managers are usually aware that agreements between competitors aimed to reconcile their business policies are considered anti-competitive agreements i.e. cartels. Cartels are unlawful and severely punished with a large fine by the Hungarian Competition Authority. However, what they usually do not know that they could become a member of a cartel without agreeing to it in written form or even verbally, but simply through silent assent. The ‘silence is acceptance’ principle means that anyone who participates in a discussion where an anti-competitive agreement is formed automatically becomes a member of such cartel regardless of his own – even passive – action, since his presence can be considered supportive to the anti-competitive behaviour. The question arises: what can one to do to avoid such a scenario? Beyond abstaining from participating in the cartel, it is also essential to condemn and clearly distance ourselves from the initiative when an idea of concluding a cartel begins to take shape. In order to defend ourselves efficiently, we have to be prepared and contact our legal counsel about how to behave and how to separate ourselves from being suspected of participation in cartel initiatives. When concluding a non-competition agreement an employer must be very careful, otherwise a lot of money could be lost. In addition, the employee can use the experience and acknowledge on another employer and it may strengthen the employer's competitors. The basic wage and the compensation of the non-competition agreement must be separated in the agreement. The Hungarian Supreme Court has declared in its decision that the compensation of the non-competition agreement is not part of the base wage. Therefore, if the base wage includes the compensation, the non-competition agreement will be void and the employee may start working for the competitor right after the termination of employment. In order to avoid further disputes, the employer and the employee must comply with some basic rules. The minimum non-competition period and the minimum compensation is prescribed by law. Besides that, the geographic and professional area covered by the agreement must be reasonable and it can not unduly restrict the employee. Contractual penalties can also be stipulated, but the amount should be defined really carefully. The provisions of the non-competition agreement should be defined carefully in order to protect the economic interests of the employer and to properly regulate the further employment of the worker. Currently employers tend to conduct background checks in the hiring process. By these, employers filter out false information or they get information which are usually not provided in CVs. But in practice they are not sure how far they can go. Can they contact past employers or do Internet research about candidates? And what about criminal background checks? The new guideline of the Hungarian Data Protection Authority solves numerous such issues. Geo-blocking is still a very common and actual practice in the online market. Service providers apply different barriers/restrictions to customers on the basis of their nationality or place of residence. For example they usually block the access to their websites to prevent customers from making cross-border orders or automatically reroute the customers to other websites which apply different prices. But this practice may change completely. The European Commission has published its draft introducing strict rules on geo-blocking. After months of uncertainty, the European Commission has finally approved the new framework for transatlantic data transfers, known as "Privacy Shield". Unfortunately, it may face legal challenges because mass surveillance continues to be allowed on the U.S. side. How can data transfer be legitimised in this legal mess? The experts at VJT & Partners highlight some key points you may reconsider in light of Hungarian data protection practice. If a flight is delayed not just the passengers could have losses, but also the company, whose employees travel on business aircraft. The Air Baltic was the first case in which the employers could enforce their claims for damages resulting from the delay of an airplane. The airlines' liability is governed by the Montreal Convention, according to which in case of flight delays, only passengers are entitled to be reimbursed for their losses. However, the problem often arises from the fact that it is not the passenger who suffers the additional expenses. In 2011, two employees of the Lithuanian national investigator service travelled from Riga to Baku. The Air Baltic flight arrived in Azerbaijan 14 hours later than expected. Due to the delay, the investigator service was required to pay a daily fee and additional social benefits to its employees. The Air Baltic Airline refused to pay the reimbursement of the costs on the grounds that under the Montreal Convention only passengers (i.e. employees) are required to be paid compensation. Since the detective service is not a passenger, it is thus not entitled to be compensated. At the end of the three-year procedure of this past February, the Court of Justice of the European Union came to a decision. According to the decision, the employer who suffers the actual loss is entitled to be reimbursed. As the European Court of Justice's decision is compulsory in all EU member states, similar decisions are expected to be made in Hungary and in other countries of the European Union. Up to now people have only used drones for amusement, according to the experts at VJT & Partners. But this may change completely. The regulation of drones may take a serious turn. The European Aviation Safety Agency (EASA) has published a recommendation to introduce rules on drones at the EU level. The PNR (passenger name record) system will be introduced as a record of database of a computer reservation system of airline companies about the itinerary of passengers. PNR will contain enormous number of personal data of the passengers. PNR will raise some serious data protection concerns. Are the transfers of data legitimate? Will they ensure higher level of air safety? Where will the data end? Is there a risk that the data will be used for other purposes than the specified? In this article, experts at VJT & Partners deal with these highly challenging questions. Nowadays you may do anything with drones. You may take artistic photos, collect secrets, watch people, save or take someone’s life. The question shall be inevitably raised: what are the legal limits of the flying mighty drones. Experts at VJT & Partners try to answer this challenging question (the article also has a video). 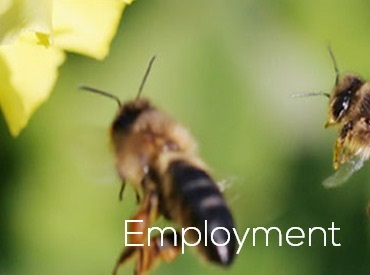 If we terminate an employment relationship, the termination must have sufficient and lawful reasons. The Labour Code contains three elements of termination: the termination must be clear, real and reasonable. If the reason does not have one of these three elements, the termination is unlawful. It is necessary to examine, what the above mentioned three elements mean in practice – emphasized the expert at VJT & Partners, Zoltan Csernus. In connection with the possible reasons for the termination by the employer, the experts of VJT & Partners pointed out, that the CEOs, decision-makers might feel that they have a “good reason” to terminate the employment relationship by notice. Though they need to know the reasons of a lawful termination. The Labour Code does not have a specific list of the possible reasons for the termination, however it contains a general summary of the possible reasons which might be referred to in the termination. We shall divide these reasons into three groups. If we have to finish something as fast as possible, email often comes to our mind. If we are not satisfied with the performance of an employee, should we react immediately? At first glance, email seems like the simplest solution to terminate the employment relationship. Is it possible and if so, in which circumstances? After the termination in person, via post or by courier, the expert at VJT & Partners, Barbara Szabo and Zoltan Csernus are going to deal with the issue of termination via email. Who has ever been involved in a termination by notice, will know: termination is neither an easy, nor a simple task. Experts at VJT & Partners will introduce and analyse this issue through actual examples, which is hard, both from a human and legal perspective, emphasizing the most important rules and the common failures of the employers. How to avoid a cartel before completing M&A deals? 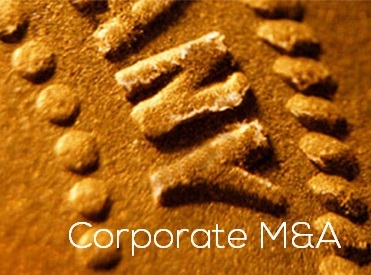 Exchange of business information between the parties of M&A deals may be considered anti-competitive. Namely, the parties that are competitors may coordinate each other’s business behaviour via exchange of such information, so they run a serious risk of cartel formation. First and foremost, the Competition Act prohibits competitors to coordinate each other’s business behaviour as it may result in prevention, restriction, or distortion of competition. Such illegal collusion may also be carried out by exchanges of sensitive and confidential business information. Usually, before completing M&A (i.e. mergers and acquisitions) deals, the parties carry out detailed due diligence investigations and intense negotiations. Needless to say, the parties exchange business information in this process. But in principle, the parties that are competitors may coordinate each other’s businesses by exchanging of such information. They may run therefore a serious cartel risk (even if they have no intention to use such information for anti-competitive purposes). The risk will be even higher if the pre-completion phase of the deals takes several months, as longer anti-competitive behaviour usually means higher fines. But the worst scenario is if the parties abandon the deal. In such a case, the parties’ behaviour may be particularly suspicious in the eyes of the competition authority. So how can we minimize the competition law risks in the course of M&A transactions? The bottom line is that the information exchanged shall be necessary for the deal valuation. For example it is legitimate to provide the auditor report, as the buyer needs this information to make a decision about the deal. On the other hand, information about the targeted company’s offer for upcoming tenders is clearly not justified. Such information is not necessary for the deal valuation, and clearly enables the parties to collude. It is also very important to avoid providing competitively sensitive data. Among others this can include information about pricing, distribution, and strategy plans. But in the lack of precise business information, it may be very hard for the buyer to make a decision about the transaction. For example, in the case that the targeted company is a wholesaler, the buyer might want to get more information about the pricing policy. How can we coordinate the business needs with competition law concerns? For sure, this presents a challenging task which requires expertise in competition law. Who can receive the information? Another crucial step is to ensure access to information only to the people who are directly involved in the deal valuation (for example: lawyers, accountants, managing directors). It is particularly important to prevent marketing people and salespeople from accessing competitively sensitive information of the competitor. It shall be also noted that the information exchange shall be one-way, that is, unilateral. Only the seller shall provide information to the buyer for the deal valuation. 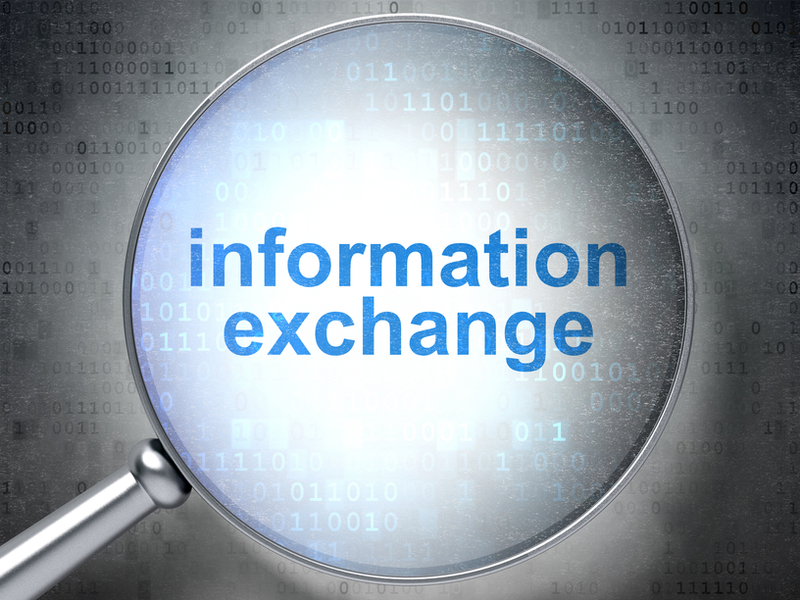 The anti-competitive concerns of the two-way information exchanges may cast shadow on the transaction. The parties can avoid cartel risks by careful deal planning. Among others, proper techniques include working out a non-disclosure agreement, creating a separate “clean team” or virtual data rooms. But it is also true that competition law concerns shall not get in the way of completing the deal. Competition law experts can assist the buyers in obtaining sufficient information to make a decision about the deal without creating cartel risks. The article is written by Gábor Hacsi and Endre Várady, appeared in one of the most popular Hungarian online news site "Origo" on 7th January 2015. English translation by Endre Várady. Experts at VJT & Partners highlight that if the company becomes insolvent, and the creditor wins the case, the director may be liable with his/her personal asset. Recently you may have frequently met with the expression ”wrongful trading” — and not just in legal, but also in the business circles. This clearly shows the tendency of increase of lawsuits aiming to determine the liability of directors. Are the personal assets of directors really in danger? The answer is yes according to Zsófia Joó Boglárka. If the company becomes insolvent, then any creditor may file a lawsuit to determine the personal liability of the director, where the creditor shall prove that after the occurrence of threatening insolvency the director’s duties have not — based on the priority of the creditors’ interest in the company — been fulfilled. If the creditors win the case, the director will be liable for his/her personal asset. Tamás Wiedemann // appeared in the Hungarian daily newspaper "Magyar Nemzet" // 13th November 2012 // english translation by Barbara Szabó. However, the new regulation has not yet been adopted, the opportunity to obtain a Hungarian permanent residence permit by purchasing Hungarian government bonds has certainly attracted the attention of foreign investors. Such method of attracting investors is also known in other countries, although such opportunities are usually much more expensive in other places. According to experts, the proposed Hungarian regulation encouraging capital inflows from third countries (i.e. countries outside the European Union) to Hungary, is considered quite favourable in international comparison. In accordance with a bill submitted to Parliament a foreign national, who have purchased Hungarian government bonds worth at least EUR 250,000 (approximately HUF 70 million) with a minimum 5-year maturity will be granted permanent residence permit in Hungary in a preferential procedure within six months instead of three years being applicable in non-preferential procedures. "Although the final version of the bill is not yet adopted, there is an increasing number of enquiries from foreign nationals in relation to investment-based permanent residence permits, in particular from China, the Middle East and Russia", said János Tamás Varga, Managing Partner of VJT & Partners law firm. According to Varga there has been a competition amongst the Member States of the European Union for third country investors, which the Hungarian government has just joined. "It was a general opinion amongst foreign nationals that due to the strict requirements, it was rather difficult to obtain permanent residence permit in Hungary for business purposes. There is an undoubted demand for the preferential treatment policy of the government" added János Tamás Varga. Further to the expert’s professional experience the proposed regulation is attractive for investors, because it would provide Hungarian permanent residency for significantly lower costs compared to other European countries and without requiring prior continuous physical residence in Hungary. "In accordance with the original bill, the applicant could have the opportunity to arrange his/her application from outside Hungary, if a Hungarian legal representative was retained, however, a later submitted amendment to the bill aims to change this scheme. In accordance with this amendment, the applicant would be obliged to appear in person before the Office of Immigration and Nationality three times", emphasized Varga. According to the available information, the original proposal submitted by a few representatives of the ruling party generated heated disputes in the cabinet. The Ministry of Interior suggested that foreign nationals should not be granted permanent residence permit automatically, but a temporary residence permit for a period of one year. A compromise has been finally reached to the effect that foreign nationals could be able to obtain the final permanent residence permit half year after the commencement of the procedure. "Since in accordance with current regulations, three years of prior continuous physical residence in Hungary is required with the condition that during this three-year period, foreign nationals are allowed to leave the country for a maximum period of 270 days altogether, it is an important aspect for enquiring foreign nationals that there is no need to previously reside in Hungary continuously, almost without any interruption", said Varga. However, according to the proposed new regulation, the applicants will be obliged to appear in person before the Hungarian consulate located in their residence country. In the subsequent stages of the procedure, the applicants will also be obliged to appear personally before the Hungarian Office of Immigration and Nationality to receive their temporary residence permit and then six months later to file for their permanent residence permit and receive it upon its approval. "The wording of the submitted amendment to the bill leads us to such conclusion", emphasized the attorney-at-law, but at the same time highlighted that it is important to wait for the decree to be issued by the Minister for National Economy, which will specify certain conditions of purchasing government bonds. According to our government-related sources, the final version of the regulation is rather uncertain. As far as we know applicants remain subject to national security control, although this procedure will be preferential. It is also an outstanding issue what type of government bonds shall be purchased by foreign investors, who intend to reside in Hungary. It is planned to issue foreign exchange bonds denominated in Euro with lower interest rates compared to the market yields. Further to our sources, it is an important question what will happen five years after the purchase of the bonds, when the bonds expire. It is also debated in the government whether foreign nationals should be obliged to either purchase government bonds again or invest their capital into the Hungarian economy. It may also be an alternative scenario, if no further obligation is imposed on foreign nationals. In the latter case it may be envisaged that the Hungarian state will purchase back the expired bonds on their nominal value, consequently the bonds would not bear any interest and the Hungarian state would use them free of charge. Financial experts argue that this specific form of attracting investors may convey a negative message to ordinary investors and lead them to presume that the Hungarian budget is actually in trouble. Experts said that the proposed Hungarian regulation provided attractive opportunities for foreign nationals. In Austria, citizenship may be obtained by investing millions of Euros, although such investments are not expected to directly finance the government budget. In Bulgaria, a permanent residence permit, similar to the proposed Hungarian one, may be obtained for EUR 500,000, which is twice as much as the amount payable in Hungary. Hungarian permanent residence permit does not either ensure foreign nationals an unlimited mobility in other Member States of the EU since such Hungarian "green cards" entitle foreign nationals to a maximum stay of up to 90 days within every 6 months in any other Member State of the EU. However, it is easier to succeed within the EU with a Hungarian permanent residence permit, Hungarian permanent residency may accordingly serve as a springboard. 1.1 When did Hungary first liberalise telecommunications networks and/or services? The liberalisation process of telecommunications networks and services started at the end of 2001, when Act XL of 2001 on Communications (not effective since 1 January 2004), implementing, inter alia, Directives 97/51/EC, 97/66/EC, 98/10/EC, 98/61/EC, 1999/5/EC and 1999/64/EC, came into force. 1.2 Has Hungary fully implemented the EU 2003 regulatory framework? If Hungary has not fully implemented the new regulatory framework, have proceedings been brought against Hungary by the European Commission and if so, for which contraventions? Hungary has fully implemented the EU 2003 regulatory framework. The implementation took place by the Electronic Communications Act (Act C of 2003, “ECA”), which is effective since 1 January 2004. 1.3 Please give an overview of the different laws and regulations governing the operation of electronic communications networks and the provision of electronic communication services. KHVM Decree 6/1997. (IV. 22.) on frequency reservation and usage fees. 1.4 Please describe the regulatory framework, in terms of regulatory authorities and associated agencies, e.g. national competition authority (where different). Electronic communications activity is supervised by NCAH. NCAH consists of the Board and the Office. The Board (Tanács), consisting of seven members, is responsible for the implementation of legal regulations and government decisions relating to electronic communications, and is also vested with the power to make certain high-level decisions, such as defining relevant markets and obligations of service providers with significant market power (“SMP”) or adjudicating legal disputes in connection with the breach of electronic communications regulations. The Office (Hivatal), headed by the Director General, performs regulatory functions relating to the notification of electronic communications services, civil-purpose frequency management, identifier management, as well as keeps the records prescribed by law, supervises the market, and also acts as licensing authority in relation to electronic communications buildings and other structures etc. The Representative of Consumer Rights in Communications (Hírközlési Fogyasztói Jogok Képviseloje), is a special officer within the organisation of NCAH, whose primary function is to investigate complaints received from subscribers, consumers and consumer protection associations, inform the complainant of his/her rights and obligations provided by the electronic communications regulations, advise the service provider to cease the infringement of electronic communications regulations, and request NCAH or other competent authorities to take measures. Competition-related matters of the electronic communications market are handled by NCAH in close co-operation with the Hungarian Competition Authority (Gazdasági Versenyhivatal). In matters regarding consumer protection, the consumer protection authority is involved. 1.5 Which principal aspects of electronic communications regulation fall under the supervision of the national regulatory authority for electronic communications? Radio frequency: granting the right to use a radio frequency (frequency assignment and radio licence); assigning frequencies for broadcasting purposes. Market supervision: supervising services from technical and legal points of view, including supervision of subscriber contracts, general terms and conditions, market practices etc. NCAH obliges non-compliant service providers to comply with the relevant norms. In the framework of this activity NCAH investigates customer complaints. Market analysis: regularly analysing the relevant electronic communications markets; identifying SMP service providers and imposing obligations on them etc. 1.6 In order to be properly authorised to provide electronic communications networks and services, is a registration, declaration or notification required and if so to whom and for which purposes?What rules or conditions, if any, may be attached to a registration, declaration or notification? Any company, legal person or private individual is entitled to operate electronic communications networks and/or to provide electronic communications services. Prior to commencing the provision of services, NCAH has to be notified. The notification shall contain (i) the name and address or registered seat of the service provider; (ii) the company registration number or other registration or identification number of the undertaking; (iii) the representative and the contact person of the service provider; (iv) a brief description of the electronic communications services and - if the service provider operates an electronic communications network - a brief description of such network, and the geographic area of the services; (v) the planned date of commencing the services (if the service provider does not specify the date of commencing the services, an additional notification shall be made within 30 days from the date of commencing the services). Simultaneously with notifying NCAH, the service provider shall inform the National Security Service (Nemzetbiztonsági Szakszolgálat) as well. 1.7 Are any network operators or service providers subject to rules governing their operations over and above rules and conditions governing authorisations and imposing SMP obligations, for example under competition law? 1.8 How and to what extent is content delivered over electronic communications networks regulated and by whom? The ECA does not regulate content delivered over electronic communications networks, moreover, the ECA stipulates that service providers may obtain information on the content of forwarded communication to the extent as it is absolutely necessary for providing the services due to technical reasons. There are special legal rules providing for certain requirements regarding content, e.g. the Information Society Act (Act CVIII of 2001, “ISA”) provides for minimum content for e-commerce websites. 1.9 Which (SMP) markets have been notified to the European Commission under Article 7 of the Framework Directive? 16 markets (markets No. 1-16) have been notified so far to the European Commission from the 18 recommended markets. Notification of market No. 18 is under preparation and shall take place shortly, whereas market No. 17 (international roaming) is not expected to be notified as a separate market. 2.1 If a licence or other authorisation is required to install or operate electronic communications networks or provide services over them, please briefly describe the process and timescales. Provision of electronic communications services is not subject to licensing. However, the service provider shall submit a notification to NCAH prior to the commencement of providing services (see question 1.6). The construction of electronic communications infrastructures is, as a general rule, subject to licensing by NCAH. In certain cases, NCAH involves a number of specialist authorities (e.g. fire protection authorities, environment protection authorities, transportation authorities). The constructor may, and, in certain cases (e.g. if construction works are planned to be carried out in several phases and are expected to take longer than two years) has to apply for preliminary construction permit before applying for construction permit. Plans and other documents are to be attached to the construction permit application and the applicant shall prove its right to carry out construction works on the affected land. NCAH holds an on-site visit at the location of planned construction works. NCAH issues its decision within 60 days of submission of the construction permit application. NCAH may extend this deadline by additional 30 days. The constructor shall, within 30 days from the date of completing construction works, apply for a usage permit from NCAH. The deadline for issuing the usage permit is also 60 (90) days. In construction licensing procedures the following fees are payable: (i) HUF 20,000 (~ €80) for preliminary construction permit; (ii) HUF 20,000 - 600,000 (~ €80 - 2,400) depending on cable length for construction permit; (iii) HUF 10,000 - 300,000 (~ €40 - 1,200) depending on cable length for usage permit. 2.2 What other requirements, permits or approvals must be met or obtained before networks may be installed or operated and services provided? If provision of services involves the use of radio frequency spectrum, frequency assignment and radio licence are to be obtained (see question 9.4). 2.3 May licences or other authorisations be transferred and if so under what conditions? Provision of electronic communications services is not subject to licensing. However, the service provider shall submit a notification to NCAH prior to the commencement of providing services (see question 1.6). Such notifications may not be transferred; however, any person may submit a new notification at any time. 2.4 What is the usual or typical stated duration of licences or other authorisations? The validity of a preliminary construction permit is one year; the validity can be extended for an additional one-year period. The validity of the construction permit is two years and can also be extended for an additional one-year period. The construction permit remains valid if the construction works have been commenced within two years from issuance and completed within five years. 3.1 Are there specific legal or administrative provisions dealing with access to public and private land in order to install telecommunications infrastructure? The ECA provides that, as a general rule, electronic communications equipment shall be installed on public land or by way of sharing existing electronic communications facilities or in facilities owned by public utility service providers. If that is not possible, the installation may also take place on private land. Electronic communications facilities may be installed on public land owned by the local municipality if no state-owned public land is available for such purpose, or if the installation on the latter is not possible because of technical reasons or prohibitive legal regulations. The local municipality may reject consent to the facilities to be installed on public land it controls or to grant permission for use of land only if granting consent is likely to cause harm to any particularly important interest of the municipality or its population, or if granting permission to use the land is prohibited by statutory provisions. 3.2 Do any specific rules exist which assist in securing or enforcing rights of way over public or private land, for the installation of network infrastructure? If it is not possible to install electronic communications facilities on public land or by sharing existing electronic communications facilities or in facilities owned by public utility service providers, and no agreement was concluded between the owner (user) of private land or the public utility service provider and the electronic communications service provider, the electronic communications service provider may refer to NCAH. Upon such request, NCAH may restrict the owner’s right to use the land by establishing a right of way or other usage right. The service provider applying for such restriction shall evidence before NCAH that (i) it had used its best efforts to conclude an agreement with the landowner; and (ii) it is not possible to place the electronic communications facility on public land or by sharing existing electronic communications facilities or the facilities of public utility service providers due to environment protection, public health, public security, construction reasons or due to the nature of the electronic communications network. NCAH shall, as a result of the above proceedings, pass a resolution including (i) indication of the electronic communications service the restriction serves; (ii) the content of the right of way or other usage right including particularly the right of the service provider’s authorised representative to enter the land with the purpose of checking, maintaining or troubleshooting regarding the electronic communications facility; (iii) the location and way of placing the electronic communications facility; (iv) technical specification of electronic communications facilities that can be placed on the land, and the respective environment protection, public health, public security and construction norms. The landowner (except for state-owned public land and in case of facility sharing) shall be entitled to fair compensation and the service provider, after completion of the installation of the electronic communications facility, shall restate the original status of the environment. 3.3 Is there a specific planning or zoning regime that applies to the installation of network infrastructure? There is no general zoning regime that applies to the installation of network infrastructure. Zoning plans are prepared locally by municipalities in line with statutory provisions relating to construction and regional development. It is stipulated in the ECA that town and country planning and development, road and public utility construction and rehabilitation projects, as well as implementation and renovation of buildings and structures shall be executed so as to ensure the installation of electronic communications facilities. 3.4 Are there any rules requiring established operators to share their infrastructure, e.g. masts, sites, ducts or cables? All service providers owning or holding the right to use electronic communications structures may be compelled to enter into agreements on facility sharing (including physical co-location) if it is required by a service provider deprived of access to viable alternatives because of the need to protect the environment, public health, public security or to comply with town and country planning rules. This obligation shall not apply to buildings designated for use by customers. No such obligation exists if (i) the fulfilment of the offer prevents the existing structure from being safely or normally used; (ii) the requesting service provider fails to assume the verified costs necessary for the establishment and operation of facility sharing; (iii) facility sharing would impose serious harm to reasonable private interests deriving from other legal relationships; or (iv) the obliged service provider is unable to comply with the facility sharing request due to reasons of normal use of electronic communications structures or equipment, or due to the fact that physical co-location is not possible. In addition to the above general obligation, NCAH may impose the obligation upon SMP service providers to provide co-location or any other form of facility sharing services to other service providers, including the right to use electronic communications structures. 4.1 Is network-to-network interconnection and access mandated, and what are the criteria for qualifying for the benefits of interconnection? All service providers (including non-SMP service providers) providing access service to subscribers are obliged to interconnect their networks with the networks of other service providers if NCAH imposes such obligation on them. Together with interconnection, NCAH may impose additional obligations as well, such as non-discrimination, facility-sharing or co-location. NCAH imposes interconnection or access obligation especially on SMP service providers. In such cases, SMP service providers are also required to submit reference offers containing the terms and conditions of interconnection agreements. Any service provider may request an obliged service provider to provide access or interconnection. The obliged service provider may only reject to provide access or interconnection for objective technical or financial reasons. However, if NCAH imposes the obligation on the obliged service provider to submit a reference offer, the obliged service provider may not reject to provide access or interconnection based on its reference offer, unless it is technically not feasible or the integrity of the network may not be maintained by providing the requested interconnection / access. 4.2 How are interconnection or access disputes resolved? Does the national regulatory have jurisdiction to adjudicate and impose a legally binding solution? Interconnection or access disputes may be resolved by (i) court; or (ii) the Board of NCAH; or (iii) the Permanent Electronic Communications Arbitration Tribunal (Hírközlési Állandó Választottbíróság). The Board of NCAH has jurisdiction to adjudicate and impose a legally binding solution, however, the resolution of the Board of NCAH may be challenged before court. 4.3 Are charges for interconnection and/or network access subject to price or cost regulation and, if so, how? If NCAH finds, based on market analysis, that the lack of efficient competition may result in unreasonably high prices or price squeeze, SMP service providers may be made subject to price or cost regulation by NCAH. In the course of this, NCAH may impose obligations for cost orientation of prices; obligations concerning cost accounting and pricing systems, and obligations relating to price controls; and NCAH may apply a cost accounting system different from what has been used by the service provider to control the cost-efficiency of services. NCAH, when imposing price/cost related obligations, shall take into account the investment made by the effective service provider, the reasonable rate of capital return and the risks involved, and may also take into account the prices available in comparable competitive markets, including the prices charged by SMP service providers being in similar situation. In addition, NCAH may impose the obligation of accounting separation on the service provider, i.e. to make transparent its wholesale prices and its internal transfer prices etc. 4.4 In the local loop are existing owners of access infrastructure required to unbundle their facilities and if so, on what terms or regulatory controls? Local loop unbundling is considered as a type of access to network elements and associated facilities. SMP service providers shall unbundle their local loops if NCAH requires so and shall make available local loop unbundling to other service providers by publishing reference unbundling offers, approved by NCAH. 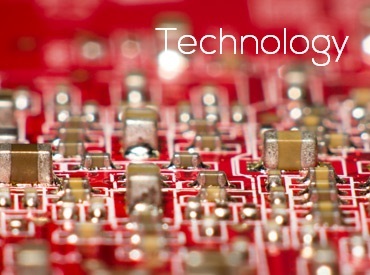 4.5 How are existing interconnection and access regulatory conditions to be applied to new network technologies such as so-called next generation networks or IP-based networks? The current interconnection and access regulation does not contain any special provisions regarding next generation networks or IP- based networks. 5.1 Are (i) retail or (ii) wholesale price controls imposed on any operator in relation to fixed, mobile, or other services? NCAH has various price control powers in both retail and wholesale markets, and in fact NCAH uses such powers in fixed and mobile telephone services, as well as other services (e.g. Internet). In retail markets if NCAH, as a result of market analysis, establishes that a certain retail market is not effectively competitive, it may impose any of the following obligations on SMP service providers: obligation to refrain from (i) charging excessive prices; (ii) setting unduly low prices impeding entry into the market or competition if such prices are not due to a higher level of efficiency compared to competitors; (iii) showing undue preference to specific consumers; (iv) bundling services. NCAH may also impose the obligation on SMP service providers to implement appropriate accounting systems. The price of universal services is a fixed price, set by the minister responsible for electronic communications. In wholesale markets NCAH may impose obligations for cost orientation of prices; obligations concerning cost accounting and pricing systems, and obligations relating to price controls; and NCAH may apply a cost accounting system different from what has been used by the service provider to control cost-efficiency of services. 5.2 Is the provision of electronic communications services to consumers subject to any special rules and if so, in what principal respects? According to the Civil Code (Act IV of 1959), electronic communications subscriber contracts concluded with consumers belong to the category of consumer agreements. The Civil Code prescribes various regulations for consumer agreements in respect of general terms and conditions, unfair conditions and other consumer rights. The Civil Code provides, for example, that if the content of the general terms and conditions / consumer agreement cannot be unquestionably determined, the interpretation favourable to the consumer shall apply. Unilaterally pre-defined unfair conditions and the unfair general terms and conditions of consumer agreements are invalid. Concerned consumers and also certain organisations (public prosecutor, minister, chambers etc.) may challenge such unfair conditions before court. If a court establishes that a condition in a consumer agreement is unfair, therefore invalid, the court may resolve that its judgement is effective in respect of each consumer having concluded an agreement with the undertaking applying the condition, or if the unfair conditions have not been applied yet, their future application shall be prohibited. If the subscriber contract between the service provider and the consumer is concluded by the means of distance sales, the provisions of Government Decree No. 17/1999 (II. 5.) on distance contracts (implementation of Directive 97/7/EC) shall be applicable. According to the Decree the consumer may withdraw from the contract without giving any reason within 8 working days following the conclusion of the contract. The ISA (implementation of Directive 2000/31/EC) prescribes certain regulations for contracts concluded by electronic means, such as obligations for the service provider to provide special information prior to placing an order and to confirm orders as a precondition of concluding contracts. If the contract is concluded by a non-consumer, the parties may agree to deviate from the respective regulations of the ISA, however, in case of consumers, such regulations are mandatory. 5.3 Are there any rules governing use and retention of customer call information? Customer call information (calling and called subscriber numbers; types of calls or other services, their direction, starting time, duration of conversations or the size of data transmitted, the International Mobile Equipment Identity (IMEI) of the network and cell providing the service and of the telephone set used for making use of the service provided in case of mobile radio telephone networks, and for IP networks the identifiers used; the date of call or other services provided) shall be retained for three years by service providers for the purpose of transferring them, upon request, to authorised national security bodies, investigating authorities, public prosecutors and courts for protection of national security, national defence or public safety and for prosecution of criminal acts and any unauthorised use of the electronic communications system. 6.1 How are telephone numbers and network identifying codes allocated and by whom? NCAH is responsible for the allocation of telephone numbers. NCAH allocates telephone numbers in the order prescribed in the National Numbering Plan. The National Numbering Plan contains different types of available numbers, e.g. landline and mobile telephone numbers, geographic and non-geographic numbers, as well as their formation rules. The allocation procedure has two stages: service providers shall make a reservation first for available numbers at NCAH, and shall apply for individual assignments of reserved numbers afterwards. The service provider shall pay reservation fee, assignment fee and public administration service fee to NCAH. 6.2 Are there any special rules which govern the use of telephone numbers? The National Numbering Plan provides that the maximum number length (following the +36 country code) may be 8 or 9 digits. Each number begins with a national destination code (NDC). The NDC is a two-digit number, except for the geographic NDC of Budapest, which is 1. The rest of the geographic NDCs consist of two digits and cover the entire area of the country. The currently operating mobile phone network operators use the codes 20, 30 and 70. There are several special NDCs: 21 stands for location independent network numbers (used mainly in VoIP service); 40 stands for shared-cost services; whereas 51 is used in Internet dial-up service etc. 6.3 How are telephone numbers made available for network use and how are such numbers activated for use by customers? Telephone numbers are made available for network use by NCAH. Geographic landline numbers and non-geographic numbers may be applied for reservation and assignment by the service providers in number field blocks of 1,000. For mobile phone numbers, number field blocks of 10,000 are available. Reservations are valid for one year, but the validity of the reservation may be extended for an additional one-year period by NCAH upon request. NCAH assigns reserved numbers upon the service provider’s request within the validity period of the reservation. Following assignment, the service provider may authorise the subscriber in the subscriber contract to use any of the numbers within the assigned number field block. The reservation fee of telephone numbers is HUF 22,000 (~ €88) per 1,000 numbers, whereas the annual usage fee of ordinary telephone numbers is between HUF 30 - 150 (~ €0.12-0.6) per number. The annual usage fee of special four or five-digit telephone numbers (e.g. carrier selection numbers) is between HUF 120,000 - 2,400,000 (~ €480 - 9,600) per number. 6.4 What are the basic rules applicable to the ‘porting’ (i.e. transfer) of telephone numbers (fixed and mobile). Subscriber access service providers are required to allow their subscribers (i) to retain their geographic numbers in case of fixed location telephone services when changing subscriber access service provider without changing the geographic location of the services; (ii) to retain their non-geographic numbers in case of services accessed through non-geographic numbers (e.g. VoIP), when changing service providers; and (iii) to retain their mobile phone numbers in case of mobile radio telephone services, when changing service providers. The transferring service provider may not reject the application for number porting, except for certain reasons determined by law (e.g. if the subscriber has overdue unpaid invoice towards the transferring service provider). Service providers are required to agree on general terms and conditions of their co-operation regarding number portability in their network agreements. The transferring service provider is entitled to charge a cost-based one-off fee to the receiving service provider in consideration of the number porting. The receiving service provider may claim the reimbursement of such fee directly from the subscriber. The receiving service provider shall notify NCAH of each number porting. NCAH registers all ported numbers, call direction information and data of the service providers and of the subscriber with the Central Reference Database. Calling parties must be provided with the opportunity to obtain information on which service provider’s network the called number belongs to and on the applicable tariff. 7.1 What fees and levies are payable and to whom with respect to the grant of a licence or other authorisation for the installation or use of network infrastructure or the provision of communication services? There are various payment obligations in connection with electronic communications services in Hungary. Please find information on fees to be paid in connection with construction permits, frequency use, universal services and numbering at the respective sections. Only a small stamp duty (HUF 2,200 ~ €9) is to be paid when notifying NCAH on the provision of communication services. There is no other fee payment obligation in this respect. Service providers have to pay supervision fee to NCAH, which is 0.212% of the service provider’s net annual turnover of the previous financial year deriving from the provision of electronic communications services. There is no payment obligation if the so calculated fee is below HUF 5,000 (~ €20). The fee to be paid to the Board of NCAH for the approval of interconnection, local loop unbundling and related facility share reference offers is HUF 750,000 (~ €3,000). The Board of NCAH settles electronic communications related legal disputes for a fee of HUF 175,000 (~ €700), however, if the service provider commencing the legal dispute has an annual net turnover below HUF 100,000,000 (~ €400,000), such fee is only HUF 87,500 (~ €350). 8.1 What are the main rules governing the bringing into Hungary’s territorial waters, and the landing, of submarine cables? Are there any special authorisations required or fees to be paid with respect to submarine cables? Hungary is a landlocked country having no seacoast or territorial water, consequently no such regulation exists. 9.1 Is the use of radio frequency spectrum specifically regulated and if so, by which authority? Radio frequency spectrum used for telecommunications belongs to the exclusive property of the Hungarian State under the Civil Code. The ECA makes difference between frequency use for civil purpose and for non-civil purpose. The licensing of civil purpose frequency use is one of the competences of NCAH. Non-civil frequency use may be licensed by the Governmental Frequency Management Authority (Kormányzati Frekvenciagazdálkodási Hatóság). The frequency management activity of NCAH is performed in order to ensure the undisturbed operation of radio communications and other, non-telecommunications services. In the course of frequency management, NCAH creates the technical and legal regulatory system in accordance with the relevant legislation, takes part in the activity of international and EU organisations, performs the tasks related to international and national frequency coordination, issues frequency assignments and radio licences and maintains registers in connection with equipment and use of frequency. Monitoring technical parameters of signals radiated by radio stations operated on frequencies allocated for civil use, investigation and termination of the observed disturbances are also tasks of NCAH. NCAH performs measurements, explores and locates unlicensed radio transmissions. 9.2 In the grant of spectrum rights are distinctions made between mobile, fixed and satellite usage? Procedures aiming at the allocation of frequency spectrum for mobile, fixed or satellite usage are the same. Details of the relevant procedure are summarised in question 9.4. 9.3 How is the installation of satellite earth stations and their use for up-linking and down-linking regulated? Satellite earth stations qualify as radio stations, therefore, as a general rule, a radio frequency has to be allocated first, and then the operator shall apply for a radio licence. Details of the procedure on obtaining such licence are summarised in question 9.4. 9.4 How is the use of radio frequency spectrum authorised in Hungary? Do the procedures available include spectrum auctions and comparative selection of candidates? As a general rule, the obtaining of frequency assignment and radio licence are required for the use of radio frequency spectrum. Installation of a radio station, radio equipment and radio communication network is subject to obtaining frequency assignment. Frequencies are assigned by NCAH. Assignable frequencies are specified in Government Decree 346/2004 (XII.22.). NCAH may conduct spectrum auctions or call for a public tender (comparative selection) regarding specific frequencies. As a result of these procedures, the winning bidder obtains the right to use the specific frequency and the exclusive right to apply for frequency assignment to NCAH concerning that specific frequency. Frequency assignment issued by NCAH specifies, inter alia, the conditions of the obtaining of radio licence. Radio licence is required for operating a radio station, radio equipment and radio communication network. Radio licence is issued by NCAH on the basis of effective frequency assignment and in line with the conditions set out in the frequency assignment. Details of procedure on frequency assignment and radio licence are set out in IHM Decree 6/2004 (IV.13.). 9.5 Can the use of spectrum be made licence-exempt? If so, under what conditions? The use of spectrum is subject to licence, however there are numerous exemptions. Details of licensing are set out in IHM Decree 35/2004 (XII. 28.) and IHM Decree 6/2004 (IV.13.). operated during exhibitions, festivals or sport events if envisaged running period is not longer than 2 weeks. Frequency assignment is not required for running amateur stations. However, having an amateur radio licence is a requirement. 9.6 If licence or other authorisation fees are payable for the use of radio frequency spectrum, how are these applied and calculated? Fees payable for the use of radio frequency spectrum are based on complicated calculations and depend on a number of relevant technical parameters (e.g. the size of the service area, the number of stations, the frequency band etc.). The relevant rules are specified in KHVM Decree 6/1997 (IV. 22.). 9.7 Are spectrum licences able to be traded or sub-licensed and if so on what conditions? Spectrum licences may not be transferred unless special rules relating to a certain frequency spectrum allow transfer, in which case the transfer is subject to the prior approval of NCAH. The entity transferring the spectrum licence and the entity intending to take over the spectrum licence shall jointly apply for the approval of NCAH. In the application, the entity intending to take over the spectrum licence shall make a declaration on accepting all relevant statutory and authority regulations. A copy of the transfer agreement is to be submitted to NCAH which publish its approving resolution in its official journal and in two national daily newspapers. 10.1 What are the essential rules applicable to the interception of messages, traffic data and other call records? Which rules apply to the retention of such call data, and over which period(s)? As stated in question 1.6, electronic communications service providers shall inform the National Security Service simultaneously with filing a notification with NCAH. The service provider shall co-operate with the National Security Service and other authorised agencies, and upon request of any of such agencies, shall enter into an agreement regarding the detailed rules of interception-related co-operation. A part of such cooperation may be that the electronic communications service provider provides the possibility of interception by making available a room at its premises for technical equipment; by allowing the staff of the authorised agency to enter the service provider's premises etc. The service provider shall, at its own cost, establish a so-called basic monitoring subsystem, if an authorised agency so requires; however, the costs of additionally required interception-related developments shall be reimbursed by the authorised agency. The basic monitoring subsystem shall be capable of the simultaneous interception of 0.30.6% of all subscribers or users (if the total number of subscribers or users exceeds 150,000, it may not be more than 0.3%) but not less than 60 persons at the same time. With respect to the retention of call data and their transfer to authorised agencies, please see question 5.3. 11.1 Are services over the Internet regulated in any different way to other electronic communications services? Which rules, if any, govern access to the Internet at a wholesale and/or retail level? As a general rule, the same requirements are applicable to electronic communications services provided over the Internet (e.g. VoIP) as on any other platform. However, certain aspects are regulated differently, e.g. providers of IP-telephone service may grant non- geographic telephone numbers to their subscribers. Access to the Internet at retail level is one of the universal services at the band width of 9600 bit/s and maximum 10-4 bit error rate. To provide access to the Internet at wholesale level is the obligation of SMP service providers identified by NCAH on the relevant market; such SMP service providers are obliged to make available a cost- orientated reference offer to other service providers regarding Internet access and flat rate Internet access services. Chapter XIV of the ECA contains special regulations for promoting the use of Internet, such as the obligation of SMP service providers in the market of internet access via fixed public telephone networks to publish a reference offer for the provision of internet call origination and flat-rate internet call origination at prices set on the basis of cost-orientation. 11.2 Are there any rules to prevent, restrict or otherwise govern Internet or email communications, in particular, marketing and advertising communications? The ISA creates the regulatory framework of electronic commerce including: contracts concluded by electronic means; the liability of the service provider and intermediary service provider; notice-andtakedown proceedings; electronic advertising. NCAH is responsible for the enforcement of the majority of the provisions of the ISA, whereas a few consumer protection-related provisions belong to the competence of the consumer protection authority. The ISA contains an opt-in spam regulation: advertisements by e- mail or by similar means may only be sent with the recipient’s express prior consent. 12.1 Is there a concept of universal service obligation; if so how is this defined, regulated and funded? The universal service provider is designated by the minister responsible for electronic communications after a public tender and concludes a universal service provision agreement with the service provider. The designated universal service provider is obliged to conclude agreements with subscribers relating to universal services. Universal service providers are entitled to receive compensation in order to recover the reasonable and verified costs of providing universal services under non-commercial conditions laying extra burdens upon them as compared to the estimated costs and revenues of services provided under commercial conditions. The amount of compensation may not exceed the net avoidable cost of universal service. Compensation is paid from the Universal Electronic Communications Compensation Fund (Egyetemes Elektronikus Hírközlési Támogatási Kassza). Landline telephone service providers as well as those internet service providers that provide internet service to subscribers using universal telephone services are to pay contribution to the Universal Electronic Communications Compensation Fund. The amount of contribution is determined every year by the minister responsible for electronic communications, however, it cannot exceed 0.5% of the previous financial year’s net turnover of the payer. New service providers are exempt from such payment obligation in the first two years of their operation. 13.1 Are there any rules restricting direct or indirect foreign ownership interests in electronic communications companies whether in fixed, mobile, satellite or other wireless operations? 14.1 Are there any imminent and significant changes to the legal and regulatory regime for electronic communications? No such changes are expected. The firm brings together the highest degree of professionalism, the efficient delivery of legal services with dynamism, flexibility, responsiveness and personal attention.